We are extremely proud to announce that Jay Canine of our Woodlands’ office has been appointed by Governor Greg Abbott to one of the three RPLS positions (nine board seats total) on the Texas State Board of Professional Land Surveying for a four year term. Jay has been the Vice President of Operations at Landpoint for over three years, focusing on civil and industrial development activities specifically within the state of Texas. Jay has been a licensed land surveyor since 1985. He is a member of the Texas Society of Professional Surveyors, The National Society of Professional Surveyors, and he is currently a Commissioner on the City of Sugar Land Planning and Zoning Commission. Jay received a Bachelor of Science in land surveying from Purdue University. The Texas Board of Professional Surveyors establishes standards of conduct and ethics for surveyors registered or licensed in Texas and prescribes the minimum standards for professional surveying. While drone surveying certainly has important applications within the construction and mining industries, many people don’t realize that the significant role drones will play when it comes to land management in forestry and agricultural settings. By conducting quick and accurate surveys from above, unmanned aerial vehicles can help land management agencies gain a much better understanding of what’s happening on ground level, which will, in turn, empower them to make informed decisions. In this post, we’ll take a brief look at some of the advantages of using drones for agricultural land management purposes. One of the most important, yet most challenging, charges faced by any land management agency is making sure the area under their supervision is healthy. If they aren’t careful and attentive, plant-based diseases can cause significant damage to forests and agricultural land before the agency in question even realizes what’s happening. UAV surveying can help alert land managers to any possible signs of problems so that they can respond before things get out of hand. 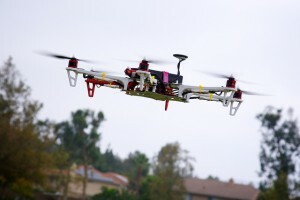 In addition, UAVs can be outfitted with NDVI cameras that use infrared and thermal imaging to create detailed models. These models allow land managers to take a proactive approach to plant health. Instead of waiting for symptoms of a disease to show themselves, land managers can make a plan to take targeted samples. While taking samples using traditional land surveying technology can be extremely costly and time-consuming, starting with a 3D model allows the agency to be smarter about when and where they take samples. As a result, they are able to get the even better results with a fraction of the headache. While a land management agency’s first priority should be to protect the land that it manages, it can also play an important role in helping businesses and other commercial interests take advantage of the economic value of land, while doing so in a socially responsible manner. For all of the many different factors that go into managing forests and farmland as economic resources, UAVs can help out tremendously. One of the first steps in making sure that land is being used responsibly is to detect signs of illegal land use, such as unsanctioned logging. Illegal land use may be very difficult to detect using traditional surveying methods, particularly when an agency has very large areas of land to manage. However, UAVs are capable of surveying as much as 400 acres in a single hour, making it very difficult to hide any illegal activity that may be going on in an area. In addition, UAV surveying can be used for purposes of inventory assessment. In order to fully capitalize on the economics of land, an agency must be able to place an accurate value on a piece of land, allowing for proper levels of taxation. This can’t be accomplished until the agency has a full understanding of the piece of land, and the economic resources it may contain. Using UAVs makes it much easier for an agency to gain this level of understanding. While the benefits of UAVs as a land surveying technology are impossible to ignore, it’s important to realize that you must work with the right land surveying partner if you hope to really make the most of using drones for agricultural purposes. At Landpoint, we are here to help. We understand the challenges that land management agencies face, and we have direct experience using UAVs to help them overcome these challenges. Review an example of our land management work to get an idea of what we’re capable of, or contact us today to find out more about what we can do for you. The Woodlands, TX – Landpoint was named Oil & Gas Engineering Company of the Year for 2015, marking the second consecutive year to receive the award. The annual Southwest and Mid-continent gala ceremony was held at the The Westin Dallas Park in Dallas, TX, where hundreds of oil and gas executives gathered together to celebrate Operational Excellence, innovations in technology, CSR, Health & Safety and Environmental Stewardship. One of the primary reasons why Landpoint has been recognized as the best engineering company is due to its use of drones. Landpoint has started using UAV systems on new infrastructure projects to streamline the data collection process at all phases and for multiple business units including engineering and environmental. Additionally, pipeline inspection services have been added to the service line as the technology has been developed further over the past few months. Landpoint is an award winning land surveying company. Teams of professional land surveyors, engineers, and technical specialists provide technology-driven solutions for projects of all sizes across the US. See more at http://www.landpoint.net. The Oil & Gas Awards recognize the outstanding achievements made within the upstream and midstream sectors of the North American oil and gas industry. The Awards are a platform for the industry to demonstrate and celebrate the advances made in the key areas of environment, efficiency, innovation, corporate social responsibility and health and safety. The Awards show the industry’s motivation to develop by recognizing and rewarding the efforts of corporations and individuals. For more information about the Oil & Gas Awards, all regional awards and award categories can be reviewed on their website athttp://www.oilandgasawards.com. 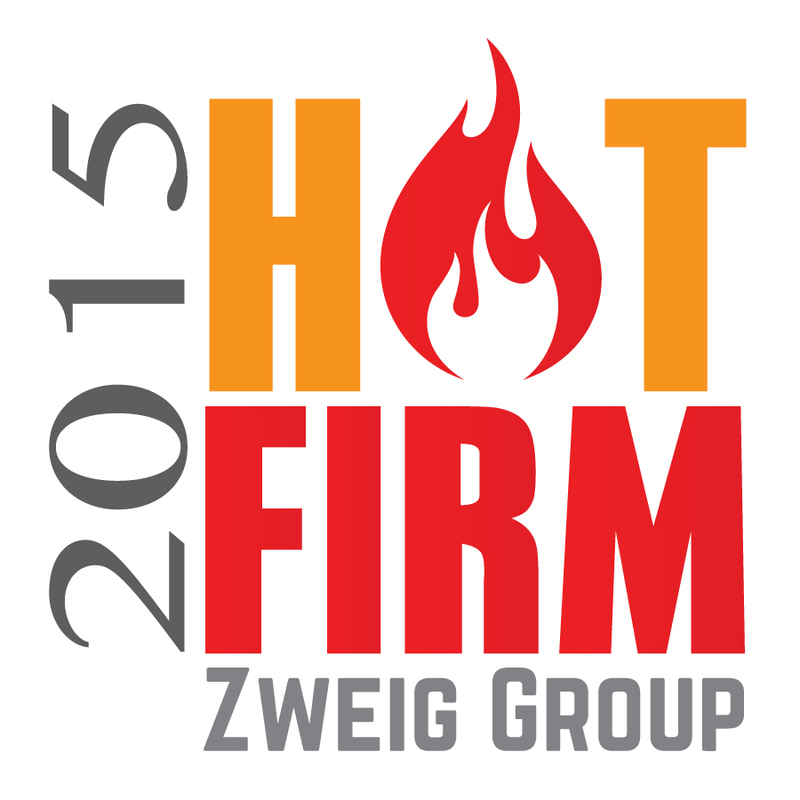 Landpoint announces its fourth consecutive inclusion on the 2015 Zweig Group Hot Firm List. Placing at #4, the company continues to rank as one of the top 100 fastest growing firms in the architecture, engineering, planning, and environmental consulting industry throughout the United States and Canada. “We are extremely honored to be on the list with some of the most highly recognized companies in the industry” said Chad Souter, Vice President at Landpoint. “We work hard to provide the most innovative services on the market. It’s very exciting to see the growth within the company that has taken place because of our continued ability to provide more efficient and higher quality services” Souter continued. Headquartered in Bossier City, Louisiana, Landpoint is a land surveying firm with over 225 professionals across the nation. The company has recently been commended for its growth by leveraging advanced technologies that other land surveying firms are not able to manage. The Zweig Group Hot Firm List examines more than 100,000 firms in the United States to determine the fastest growing A/E/P and environmental consulting firms that have outperformed the economy and their competitors to become leaders in their chosen fields. “You have to be doing something right or you wouldn’t make these lists. When you consider that there are 100,000-plus design/planning/engineering/environmental consulting firms out there, being at the top of the growth stats is a real accomplishment, and it says that the marketplace is responding to your offerings, said Mark Zweig, Zweig Group founder, regarding last year’s winners. This is not the first time that Landpoint was recognized as one of the top land surveying companies. n fact, this award joins the many other accolades Landpoint has recently acquired. In October 2014, Landpoint was honored as the Southwest’s Oil and Gas Engineering Company of the Year. Landpoint has also ranked on the Inc. 5000 list twice in the past five years as well as Inc.’s Build 100 list. Landpoint is an award winning land surveying firm that offers variety of surveying and engineering services for oil and gas, transportation, commercial land development, and residential real estate companies. The company also provides consulting, GIS mapping, UAV operations (drones), and laser scanning. The value added services and solutions offered by Landpoint are unmatched in the industry, allowing customers to realize significant time and cost savings. To learn more about Landpoint’s services around the country, visit www.landpoint.net.